Annual Pilgrimage to the Holy Land 2018! Please join us for a life-changing pilgrimage to the Holy Land, January 11-25, 2018. Registration is now open! To register for the pilgrimage please fill out all three pages of the registration form (below) and sign it. Mail it with the deposit to the address on the form along with a photo copy of the face page of your passport. A passport must not expire before 6 months after the last date of travel. (In this case, it can't expire before July 24 of 2018.) If you need to get a new passport, send in registration anyway and note that passport is pending. Meet the staff for 2018! Spiritual Director, Fr. Sean Wenger. He accompanied us to Israel in January of 2016 and we were inspired by his enthusiasm for the faith. He is pastor of St Mary's Parish in the Archdiocese of Ottawa, Canada. He is also a member of the Companions of the Cross, a Society of Apostolic Life. 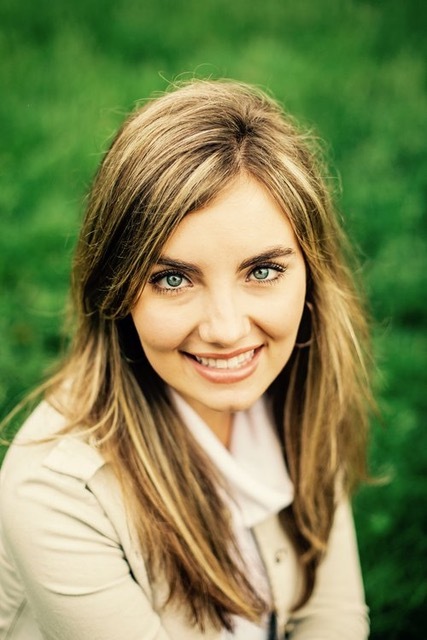 Taylor Tripodi is a 22 year old Theology and Catechetics graduate of Franciscan University. She is the oldest of 9 children and hails from the Cleveland Ohio area. She has been singing and playing guitar from a very young age, and has been so blessed over the past 5 years to have led worship at the Steubenville Conferences and for youth and women events across the country. She loves scented candles, getting caught in the rain, and hiking to see beautiful scenery. She is incredibly thrilled and humbled to have been chosen to lead the music for this years trip to the Holy Land, and encourages all of you to attend this once in a lifetime opportunity to witness the land of Our Savior. He is the 6th of 10 children and has 26 nieces and nephews. He grew up on a farm in rural Minnesota. He entered St. John Vianney College Seminary in St. Paul, Minnesota right out of high school and then went to the Pontifical College Josephinum in Columbus, Ohio. He was ordained a priest for the Diocese of New Ulm, Minnesota in 2007. Currently he is pastor of 4 parishes in the New Ulm Diocese. He recently became certified as a spiritual director through the Institute for Priestly Formation. He has been to the Holy Land once with a friend back in 2009 and is looking forward to returning! Watch someone win a trip to the Holy Land! Regina is one of the authors of the new Great Adventure Storybook: A Walk through the Catholic Bible. This is her first trip to the Holy Land. She resides in Edina, Minnesota and is an empty nester this year! Travel arrangements made by Golden Eagle Travel and Tours. We're happy to say that all the pilgrims traveling from many countries have all made it to Tel Aviv and our pilgrimage will start officially in the morning. We are excited to have so many wonderful people joining us to travel the Holy Land. With a month to go before we head to the Holy Land, we wanted to share this video with you that introduces some of our staff and gives some tips and insights for the pilgrimage. We did edit it down some, so please forgive us if it seems to end rather abruptly. The priest at the beginning of the video who gives you a traveling blessing is Fr. Paul Timmerman. Pre-Tour Meeting 2018 from Jeff Cavins on Vimeo.